Heading for a new life next year? Reports are currently rife at the influential Seatrade Miami conference that Portuscale Cruises is in trouble. Stories are circulating that the Lisboa has been arrested at Lisbon, while the recently renovated Azores- due to leave over the next few days to start an almost year long charter for German cruise company, Ambiente- has been delayed from leaving the same port. Renovation work on Lisboa was suspended a few weeks ago, when an official Portuscale announcement stated that structural problems with the ship were far more extensive than had been originally ascertained. A lucrative charter to a French cruise operator had to be cancelled at very short notice. Provisionally, Lisboa is intended to resume sailing in 2015. Meanwhile, the veteran Funchal is due back at sea shortly, off to begin a season of cruises from the UK and Sweden through the spring, summer and autumn. There has as yet been no word about the future of these. Fourth of the Portuscale trio, the smaller, also renovated Porto, was still in Lisbon at last report. It is little more than two years since Rui Allegre first masterminded the astonishing resurgence of the veteran Portuscale quartet from the ashes of the imploded Classic International Cruises. The owner saw an obvious market for the elegant, traditionally styled quartet in an era largely dominated by amenity laden mega ships. Funchal actually went back to sea for three months last year, beautifully restored and looking better than ever, Rave reviews came from on board, and guest satisfaction rates were high. The future did, indeed, seem bright. However, the abrupt cancellation of work on Lisboa- which had been progressing nicely- rang alarm bells. Portuscale had gone so far as to announce a programme of cruises for the renovated ship on her French charter, as well as going to the extent of making public some artist renderings of her restored interiors and outer decking. The loss of revenue from the French charter must have been quite a hit. And the ships, with their vintage styling, are very labour intensive, and expensive to maintain. At this time, no formal statement is forthcoming from Portuscale. It is to be hoped that the Azores can leave on schedule for her charter to Ambiente Cruises as planned. I suspect that the potential loss of that German charter might well prove catastrophic to the nascent cruise line. And it would be a true tragedy if these four ships were to be lost after so much hard work has been done to bring them back up to speed. With regard to the Azores charter to Ambiente, German sources have reported that the ship has, indeed, left Lisbon, en route to begin her programme of cruises from Bremerhaven on March 16th. She was apparently delayed by the non issuance of a necessary sailing certificate, which has now been supplied. While this news is indeed a relief, there has been no official word from Portuscale Cruises over the alleged arrest in Lisbon of the partially refurbished Lisboa, as outlined below. Well worth checking out in the responses to this piece is a note from Luis Miguel Correia, one of the most renowned, knowledgeable and well informed writers and photographers in the entire maritime industry, and someone whom I have had the pleasure of sailing with in the past. Luis is well connected to the current owners and operators of the Portuscale fleet and, as such, his response to my original blog post above, is definitely worthy of your consideration. This entry was posted in Stylish, elegant travel with some delightful twists and surprises... and tagged ambiente cruises, Azores, CLASSIC CRUISING, Cruise, Funchal, Lisboa, Lisbon, Porto, Portuscale Cruises, Rui Allegre, seatrade miami. Bookmark the permalink. Seems that the Azores has left Lisboa for Germany last night. The problem with her was related to security certificates, she was missing one just as Funchal in Sweden last year. By what I know, the Lisboa has been arrested due to lack of payment of workers. I wonder which workers: the ship crew or those who were working on her refit? Thanks Daniel. Let’s hope this blog brings out some answers to those questions! Is my dear friend Anthony Nichols in trouble? I really regret you did not contact the company in Lisbon before spreading your full load of bad news. Bad news do sell and everybody seems to enjoy blood these days. I have been monitoring the development of this fantastic new cruise operator since day one and can only praise Mr. RUI ALEGRE and his team for all the positive achievements so far. Do you imagine the energy and resources necessary to have the FUNCHAL purchased in January 2013 (not 2 years ago as you do suggest) in derelict almost scrapbound condition and in only 7 months have the ship reborn, returned to service and looking better than ever as you said in your RIP-style press release? I also heard the gossip in Miami and did call Lisbon to check if there was some truth in this. The fact is that there are no PORTUSCALE ships under arrest. A company official has just confirmed me. There are other unreliable statements in your anti-Portuscale dixit: there was no lucrative French charter for the LISBOA, the ship was going to be operated by PORTUSCALE FRANCE a new company set up by RUI ALEGRE in 2013.The fact is that more than 7 million EUROS have already been invested in the ship and paid to third parties and all steel has been renewed (about 500 tons). Portuscale aims to deliver its customers very high standards and so decided to postpone the return of LISBOA to the French market after concluding that the ship needs a lot more of work namely new cabins and public rooms, so the LISBON reconditioning is being reviewed even if too much money has already been spent to the point of no return. So do not be nervous I am pretty certain Mr. Rui Alegre is deeply committed to have LISBOA ex-DANAE returned to her former splendour. Just wait and see. And there are no arrests associated to the LISBOA. The AZORES is cruising fully loaded with happy German cruise passengers, she left Leixões (Oporto) today and is progressing up North to Bremerhaven where she is due to operate another 20 plus cruises. FUNCHAL ongoing refit work is said to have been just concluded with significant improvements to the air-conditioning system, new stabilizers control system, new bow thruster, and much more. This evening I had the pleasure to meet our friend Vitor Francisco (Managing owner of this site) on the FUNCHAL, the yellow funnel girl was shinning in wait for her forthcoming season of European cruises due to start later this month from Lisbon. SO, I CAN ASSURE THAT THERE ARE NO Portuscale SHIPS UNDER ARREST even if it seems that the tiny new Portuguese cruise venture is being monitored by all the big cruise players… Please note I am not an official PORTUSCALE speaker, just a ship enthusiast deeply committed to the beauty and quality of FUNCHAL and her fleet mates. And do not worry about PORTO, she is goind to find employment sooner than expected. I have to add that both Funchal and Azores have now begun their cruise programmes as scheduled. The problem here is that Portuscale have done nothing to help themselves by denying these stories. My article was an attempt to give them a chance to nail those rumours in one go. Sadly, they chose not to take that chance. Azores, 20 cruises with German paxs??? Fully loaded?? Let s wait and see, I have my doubts. No one seems to know exactly what has happened, but that fact that Portuscale have been unable/unwilling to crush these stories is a damning failure of senior management, and that does not bode well for anybody. 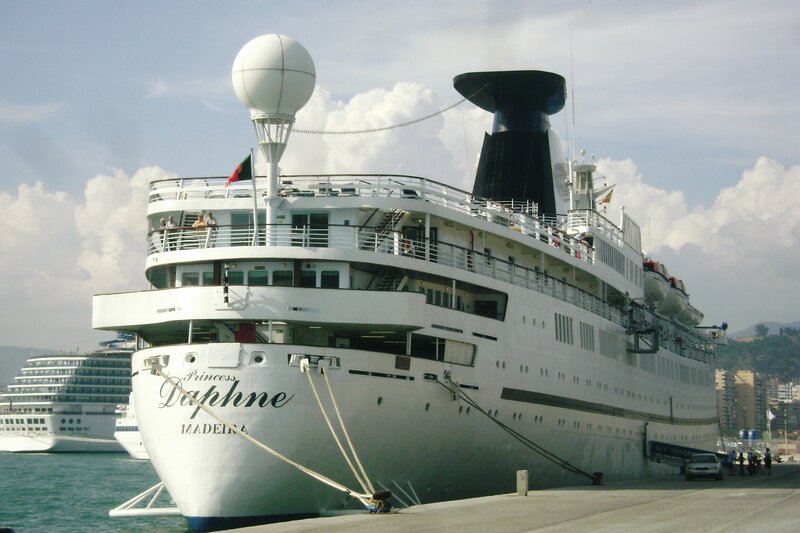 The ship was never fully booked and several cruises were cancelled since the beggining of Ambiente’s operation of Azores. It’s a lie that the ship was allways full or that it even performed 20 cruises. Portuscale is living with major financial difficulties. The crews payment is delayed by two months. The office workers don’t know when they get their payment and the partners and suppliers have begun asking for payments in advance. Azores will be chartered to CMV and the Captain will be Mr. Morais, who defected Portuscale when he realized the company is going bankrupt during 2015. Most of the good crew members the company have will go with him, as they refuse to keep working for Portuscale. The bank that actually owns the ships (Montepio Geral) stopped financing the cruise operation. Rui Alegre has been called to the bank several times to be flogged by the administration. The numbers of Funchal from 2014 are depressing. €8million revenue, 6800 passengers in 20 cruises, sailing during 200 days. If you do the math, that means each passenger spend an average of 1700 euros. Ridiculous. In 2015 Funchal will only sail for five and a half months. The australasian season was scratched off the plans and the company is never going back to Australia again. Their reputation is dead. Mr. Luis Miguel Correia should be ethical and thritful about Portuscale and specially MV Funchal. He was never in good relations with PC management. The only reason they even say hello to him is to garantee that he let’s the company use his photos without paying for them. He was never the offiial historian for Funchal during CIC days. He was never the official photographer for CIC and Potamianos hated him for his constant abuse on asking for free cruises. Lisboa is going to be sold to DECON Viana, as a way to pay the due invoices from refitting Funchal. We must remember that the ship’s refit was expected to cost around €20million and the final price was over €35million. Also, the refitting of MV Lisboa was stopped because of these due invoices. The bank refused to finance the rest of the works at NavalRocha shipyards in Lisbon. The reason is unclear, but the incompetence demonstrated by Rui Alegre as CEO and specially Mr. Caneco as COO, determined the current company’s situation. Therefore, MV Lisboa is going to be transfered to Viana do Castelo where it will be finished, reffited and sold, probably to sail in the Mediterranean, Aegean and Black seas. See you again when the company collapses. Happy New Year.